Boston is a special city with a lot to offer when it comes to night-life and entertainment. There's seemingly always something going on in this busy town! Do you happen to have a special event coming up that needs a special celebration? High school prom, football game, bachelor or bachelorette party, wedding, or maybe just a night on the town? Tired of the usual party venue and the inconvenience that comes along with it? If you're in the market for having fun, we have everything you're going to need to make that a reality in the most affordable and stylish fashion. You deserve a great time with your loved ones that includes a transportation experience that brings the entire group together without sacrificing your pocketbook. That's where we come in! Make your event even more exciting, and memorable by holding it inside of a our Limo Bus. We have the top Boston Party Bus vehicles in the Boston Massachusetts area. 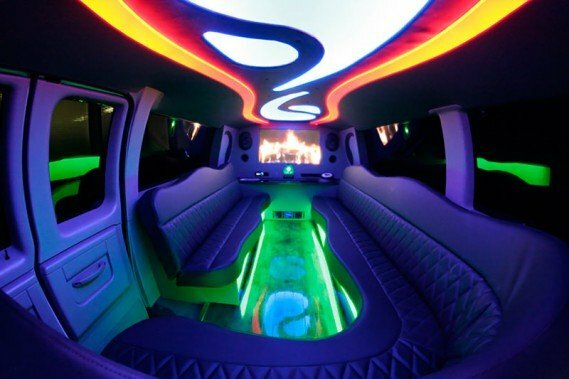 There will be absolutely no worries about dealing with traffic or finding a designated driver when you decide to rent one of our limousine buses, and the party ready interior makes you feel as though you're inside of a mobile night club. Our vehicles are outfitted with the latest and greatest amenities, and they're driven by our professional, courteous chauffeurs. 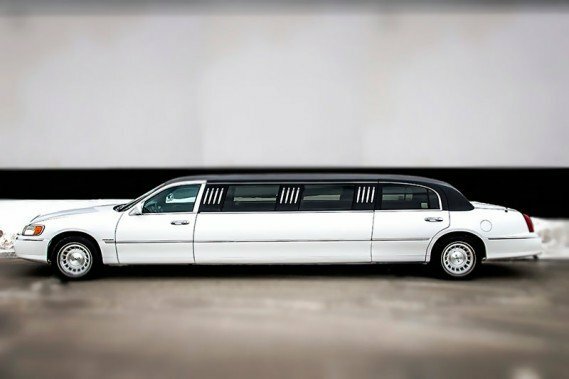 For all of these reasons, you can trust Boston Limousine to deliver on all accounts when it comes to your next special event in Boston. We'd be so honored to take you anywhere and everywhere you need to go in our area. We're the most dedicated, hard working limo bus company around, and we've got such an impressive fleet of vehicles for you to come and tour! If you've got the time, we'd love to have you here on our premises to have the truly grand tour! 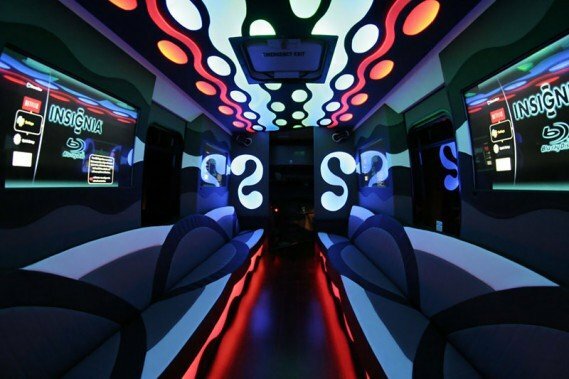 We'll take you through all of our buses, showing you the different styles of seating, the different types of glowing lights installed in each vehicle, the beautiful built-in bars, and of course the mind blowing entertainment features! Then you can make a wise decision for yourself as to which bus is the ideal one for your particular event. Alternatively, if time is limited for you right now, you can absolutely just call our office and let our experts choose the right vehicle for your needs! They do this all day every day and they really know their stuff. They'll know which bus is ideal for you based on the type of event and the number of passengers that you will have with you. They'll also be able to help you plan your trip from start to finish if you'd like some guidance with that. They know the best bars and restaurants in town and they'll be happy to help you choose your destinations. They've got all the insider info on how to make your limo bus trips completely incredible! We've got the smartest rates in town, designed with our customers in mind. We want to provide you with a really affordable experience so that you're more likely to return again! A lifelong, loyal customer is worth much more to us than a one-time huge profit. You'll save money if you book your trip on weekdays or during our off-peak times (ask about this when you call) and you can also score a nice discount by booking two trips at the same time, such as your wedding and your bachelorette party! We've got nice bonuses for certain events too, like a bottle of champagne on your wedding day and even wedding decor for the bus. Be sure and ask us about this when you call! Our service area is really wide, covering the areas of Suffolk County, Essex County, Middlesex County, Norfolk County, and Plymouth County, and if your event happens to fall outside of those areas, just let us know and we will see what we can do about getting you there! We'll always do everything in our power to get you wherever you need to go, and our service area is just a general guideline of the places that we visit most often, not a hard and fast rule. If you've got any questions at all, we hope that you will reach out. We've got lots of information for you right here and we've tried to answer any questions you may have, but we're here in the office 24/7 to take your calls if not! Call us tonight! Party Bus Boston offers modern, classy, and comfortable party buses that will surely make your evening memorable and your party more exciting - an event that will surely linger in the minds of your guests and friends for a long time. You don't have to worry about parking spaces or traffic jams. We will pick you and you guests up at your doors and take you to the destination of your choice in style and comfort while you and your friends sip bubbly and groove to our state-of-the-art sound system. There's no need to worry about getting DUI because the mission of our company is not only to ensure you have a blast but also to bring you home safe and sound when the party is over and the fun night is capped. Give Boston Limo Bus a call and book one of our VIP party buses tonight. No event is too big or small, we cover them all! We have several companies that we can refer from other areas in the country. 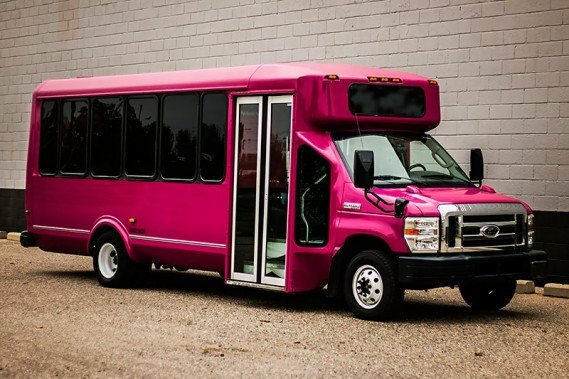 In the metro Detroit area we recommend Party Bus Detroit, Limo Detroit, and Detroit Party Bus. Our company in NYC we recommend is NYC Party Bus. For the west coast be sure to give Sacramento Party Bus and Party Bus San Francisco. 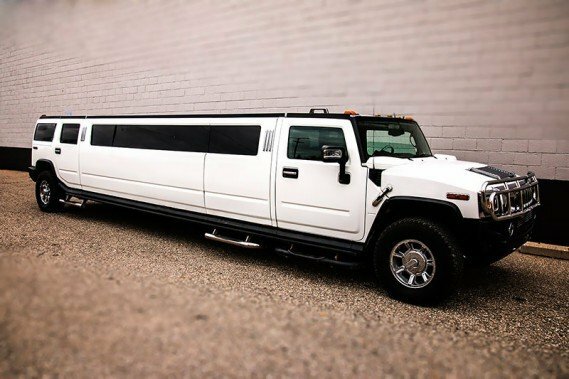 Should you find yourself in the market to Buy a Limo Bus, you're not going to want to miss out on the opportunity we present to you here! Check Out Our Limousine Services!